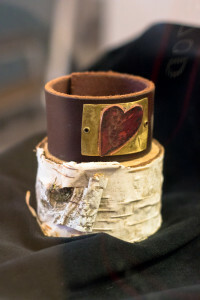 Always in need of something to create, Marianne Prodehl went from cutting out pieces of yard art from old junk found in the desert to creating beautiful jewelry from similar old junk. 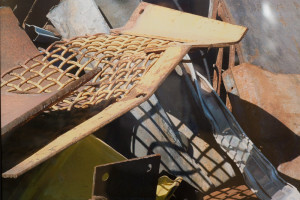 It’s a love of metals and how they work together and separately that influences Marianne’s work. At Junk to Jems, she uses treasured stones and mixed metals for an eclectic and wonderful combination. Our Arts In Care gallery is dedicated to exhibiting fine art that explores the therapeutic connection between human creativity and the healing arts. Art has the rare ability to mend social, psychological, and physical ills by building community, inspiring change and celebrating life. These rotating displays are intended to feature artwork that speaks to our larger community and our desire to educate, enlighten, empower, and cultivate caregivers, families and patients alike.